When my husband, Keith, and I first started dating I made a caveat that all design decisions in our future home would need to be at my discretion. At the time, he whole heartily agreed stating “No problem, Honey,” probably because he assumed I wasn’t serious. Cut to over six years later and the design of our home is a battle … It makes me rethink my true affection for him on a regular basis. Lucky for him he is cute and funny enough I cut my losses and move on quickly. I love our house. There are no words for the work, effort and hours we both put in to making it a home for us to grow as a family. It is imperfectly us and I am truly grateful to wake up there every morning. Staring back at me in pictures are the design battles I’ve lost, sourly. I’m not a good loser! 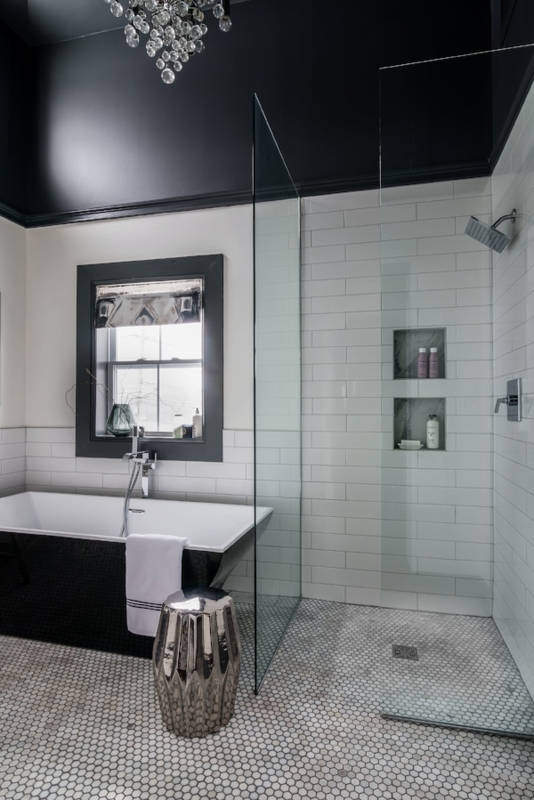 I like the masculinity and simplicity of the master bath design, functionally it’s great – a side for him, and a side for me. 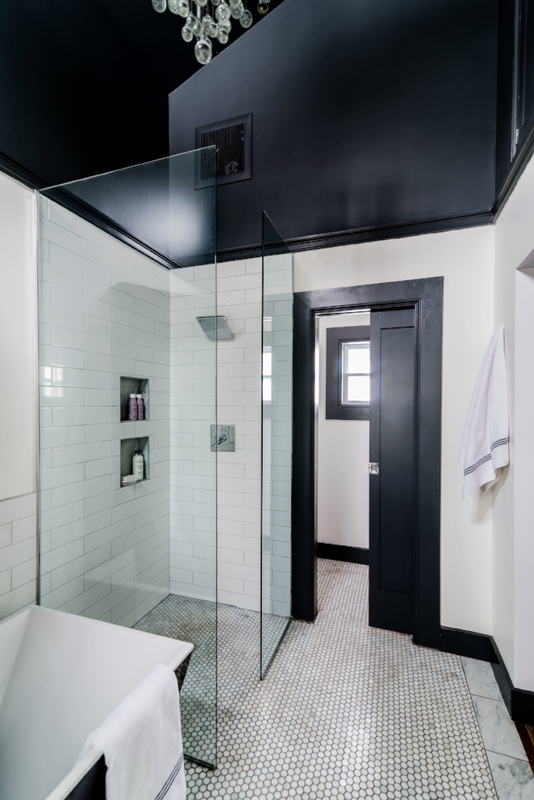 The curb-less shower, no door, oversized subway tiles with contemporary metal edge, dropped crown detail on the faulted charcoal ceiling. The tub, for me, was a huge point of contention, which is actually very common when trying to design a space for multiple people. My clients have similar “arguments” all the time. Keith wanted a jacuzzi, I wanted a simple soaker, no electrical with minimal upkeep. 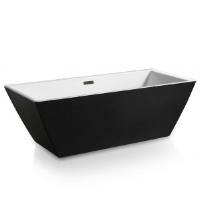 I won the battle of the soaking tub, but Keith got to choose the tub – cut to this black stunner. The funniest part about it this was my wildcard option! The one that you stick in there, knowing the other person would never pick it so they end up choosing something you really love. Of course, it’s the one he wanted…HUGE reverse psychology fail! The good news is, I know what I am doing so I was able to pull it off.